Different standards for smartphone integration in vehicles can create a lot of confusion for those who buy new vehicles, for automotive manufacturers and smartphone manufacturers. Motorists need to have a smartphone that is easily compatible with their vehicle so that the transition from their home or office to the vehicle is as smooth as possible. 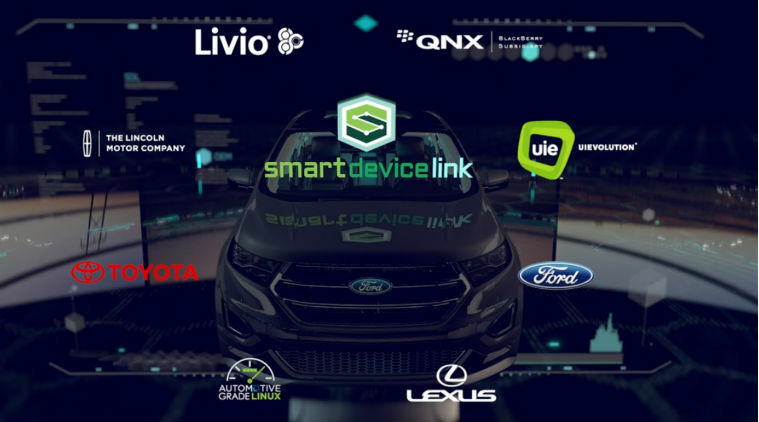 Ford was the first automotive company to take an initiative in this regard by developing their SmartDeviceLink open-source software. By becoming the first other manufacturer to adopt the same standard for its vehicles, Toyota will make it easier for its customers to integrate apps like Spotify from the smartphone to their car. Like Sync App Link in Ford, SmartDeviceLink, makes it possible for users to control the apps on their phone through their steering wheel, infotainment units or with voice commands. Using a shared platform will make it easier to integrate vehicles across vehicles belonging to different competing brands. With other manufacturers like Mazda, Subaru and Honda also showing interest in using and customizing SmartDeviceLink as a standard backend software for their apps, like the Android operating system for smartphones, life will make a lot more convenient for those on the road. Software developers can create one program that runs on millions of vehicles instead of working on different programs for different brands of vehicles. Toyota is planning to have SmartDeviceLink in vehicles around 2018. Toyota might be the first automotive manufacturer to adopt Ford’s SmartDeviceLink, but other leading companies in the field like PSA Peugeot and Japanese companies like Honda, Subaru and Mazda are showing interest in following suit. Parts suppliers QNX Software Systems and Xevo, too have agreed to use the same standard. Ford has already partnered with Blackbery’s subsidiary, QNX, to develop software for Ford’s planned autonomous fleet.